In October 2018, the Intergovernmental Panel on Climate Change (IPCC) issued a Special Report reconfirming the urgent need for raising the ambition to reduce the impact of global warming to 1.5°C above pre-industrial levels. Just ahead of the climate conference COP24, held in Katowice in December 2018, the EU-responsible for 10% of greenhouse gas (GHG) emissions and considered as a global leader in climate action- revealed its “Proposal for a long-term vision for a prosperous, modern, competitive and climate neutral economy by 2050 – A Clean Planet for all”. 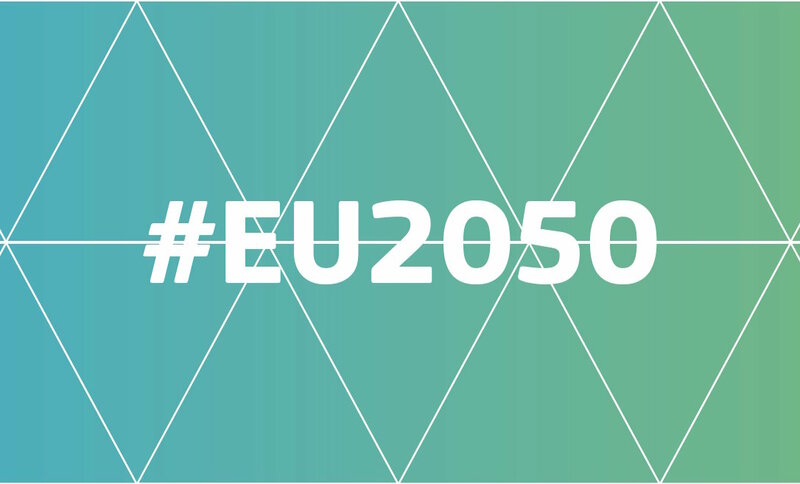 The aim of this strategy is to present Europe’s vision of how net-zero greenhouse gas emissions could be achieved by 2050 through a socially-fair transition and in a cost-effective manner. It identifies challenges and emphasises opportunities that this transformation can bring to the European economy and its citizens. The European Commission does not introduce new policies, nor does it intend to revise the agreed 2030 climate and energy targets. It is rather providing the direction and a number of solutions that could be pursued for the EU to achieve the Paris Agreement temperature objectives in line with the UN Sustainable Development Goals. A set of eight pathways (scenarios) is assessed in the EU strategy, based on existing (though in some cases emerging) solutions and is wide enough to offer alternatives to convince policymakers and citizens that a net-zero GHG emissions economy can be reached by 2050. The assessment builts on input from a broad range of stakeholders, including the scientific research community, businesses, non-governmental organisations and think thanks. To pursue all these strategic priorities, it is necessary to establish an enabling framework for long-term transition focusing on investment and finance, research and innovation, economic and social change, the EU´s global role, and the role of citizens and local authorities. The speed of the deployment of actions, citizens’ involvement, public acceptance of low carbon technologies and their implementation will decide on the success of the transition. Climate-neutrality is a state in which all actions, including those of individuals, organisations, cities and states result in net-zero climate impact. When it comes to the buildings sector -responsible for 40% of energy consumption- the strategy acknowledges the importance of energy-efficiency measures, as they should play a central role in reaching net-zero GHG emissions. It is emphasised that a higher number of renovation rates needs to be achieved and sustained, with a large majority of homes using renewable heating, smart building management systems and improved materials. Actually, the technology for zero-emission buildings is already available. But it is necessary to deploy adequate financial instruments, both for publicly and privately owned buildings, and to equip all actors involved with the right skills. Therefore, the EU Horizon 2020 project TripleA-reno is on the right track to aim at boosting deep renovation of buildings, as well as overcoming existing market barriers. It will also provide consumers and end-users of deep renovation projects with attractive, understandable and personalised information of real performance of buildings. The TripleA-reno open gamified platform will be designed to make decision-making simpler by facilitating the buildings renovation process through all its phases: design, construction and use. This will be done by adding gamification elements to further engage users. In addition, the platform will contain a link to a training application, where all actors involved in the renovation can upgrade their knowledge and skills to meet the needs of the market. For the strategy to become official, the European Commission invited the European Council, the Parliament, the Committee of the Regions and the Economic and Social Committee to consider the proposed vision for a climate-neutral Europe by 2050. Furthermore, Member States have submitted their draft National Climate and Energy Plans to the European Commission at the end of 2018. They are central to the achievement of the 2030 climate and energy targets, and should be taken into account in the EU’s long-term strategy. Deep-renovation of buildings, in particular residential ones, and how it will be achieved on a large scale, was also addressed in these documents.